In this 1994 movie gem we get to know and follow Kurt Russell as Col. Jonathan Jack ONeil and James Spader as Dr. Daniel Jackson in journey which traverses time and space. But first things first, in 1920 group of egyptologists discovered ancient object of circular form, unknown material and writtings all over it. Ofcourse military took control of it and so it was buried again somewhere in warehouse until Dr. Jacson figured out a bit about technology and language and managed to activate ancient device. Expedition led by Col. ONeil discovered that portal opened by device actually leads across universe onto planet controled by powerful immortal god Ra. Oppressed people and all marks of Egyptian culture are there, on other side of galaxy. 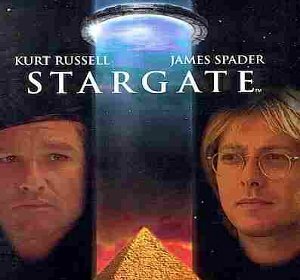 Both Kurt Russell and James Spader did great and based on their great acting their characters took life on their own as Dr. Jackson and Col. ONeil became stars of series and movies franchise Stargate. After seeing this movie we recommend for you to watch one more item in our database Stargate SG1 series which is natural continuation. anonymous: "stargate the movie review"
Solve this complex math: 8 + 6 = ?